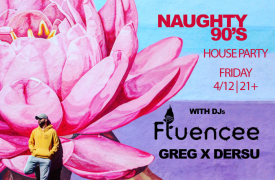 It's a Naughty 90's House Party and you're invited! Deep House DJs fill the floor with pulsing pleasure all night! With his unique electronic twist on pop music, Los Angeles-based DJ and producer Fluencee has burst onto the contemporary crossover scene with a groundbreaking sound and a story to tell. After being bullied throughout his childhood due to a lifelong stutter, Fluencee finally chose to own it by speaking fluently through his music. Last year, he released an official remix of The Chainsmokers' track "Somebody" on Disruptor/Columbia Records. 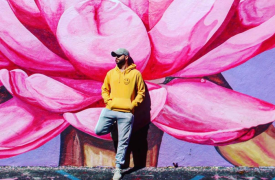 He followed with his debut EP "Foxgloves," which saw its titular track receive spins on Insomniac Radio (SiriusXM) and EDC Radio (iHeartMedia). In addition, Fluencee's original song "Better" peaked at #21 on Spotify's Global Viral 50 chart and has amassed over 15M collective online streams. When he's not spinning at world-renowned events like Electric Daisy Carnival Orlando and Sundance Film Festival, Fluencee lends his unique background and production prowess to inspire others. He was chronicled in YourEDM's Aspire to Inspire series, which profiles individuals who have overcome personal and professional challenges to encourage resilience and change. GREG BEVIS: After graduating from Humber College with a degree in Jazz Performance, Greg joined the Alternative/Electronic band Bear Mountain as their drummer and contributing member. The band went on to release two records with Last Gang/eOne entertainment and tour extensively across North America, with performances at SXSW, Gov Ball, Austin City Limits, Lollapalooza and opening slots for Bloc Party, Hot Chip, Cut/Copy and others. 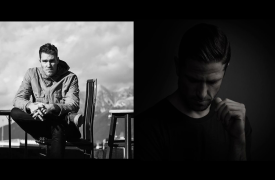 In 2015, Greg launched his solo DJ project Holy Oker with a 3 song EP on the Belgian label Mood Family featuring Greg singing and playing guitar over mellow house beats. Greg has licensed music to major brands including Chevy, Prius, 711 and Lululemon and most recently scored the feature-length cold water surf film "The Seawolf" and documentary "Love Letters To My Children” about the Kopila Valley children's orphanage in Nepal. DERSU RHODES: As a DJ, Dersu fell in love with deep, minimal and melodic house while living in Berlin, and soon brought this energy back to LA where he continues to throw parties with the inimitable @PeaceInNoise crew. Dersu tells a story with every DJ set by combining his own unique style and energy with a blend of ultra dark, minimal house and world sounds. The resulting brew is a compound of heightened awareness to the moment and a submission to the potential for ultimate release on the dance floor. For all of those lucky enough to be lost in these moments, the focus is not on the DJ booth or the individual, but on the unity of the room, and the new energy that is created from this freshly forged connection to one another.